HBO Golden Globes Party- This Golden Globes party took place Circa 55, poolside at the Beverly Hilton hotel. 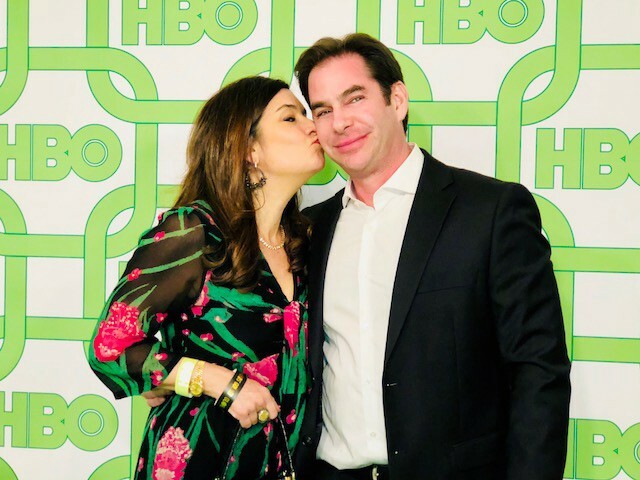 At the HBO party, the color theme was green, black and white and it looked like there were trees everywhere. Richard Plepler, our host did an excellent job of schmoozing with everyone and we even got a few little hints of some upcoming plot twists on a few of our my favorite shows. 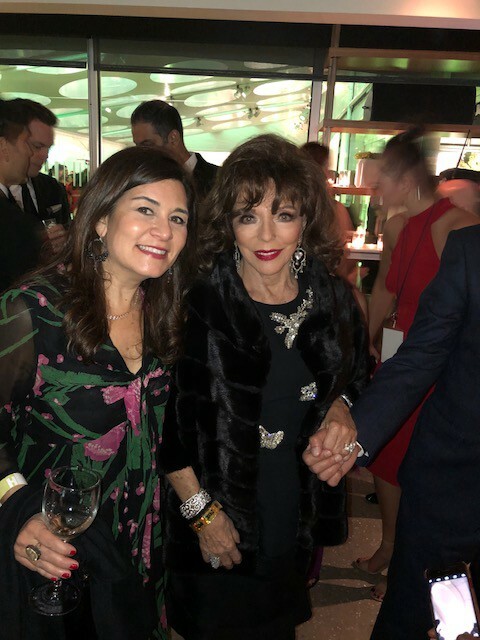 There were many A-listers abound including Amy Adams, Patricia Clarkson and my personal favorite, Joan Collins. They had a beautiful food spread full of green fettucini, a seafood medley, filet mignon and many other delectables. Cindy Tenner did an excellent job of coordinating the whole event. Secret rooms Event Style Lounge at the Intercontinental Century City- Rita Branch did an excellent job of making this gifting suite was very romantic. The setting was beautiful with purple orchids at the entrance. 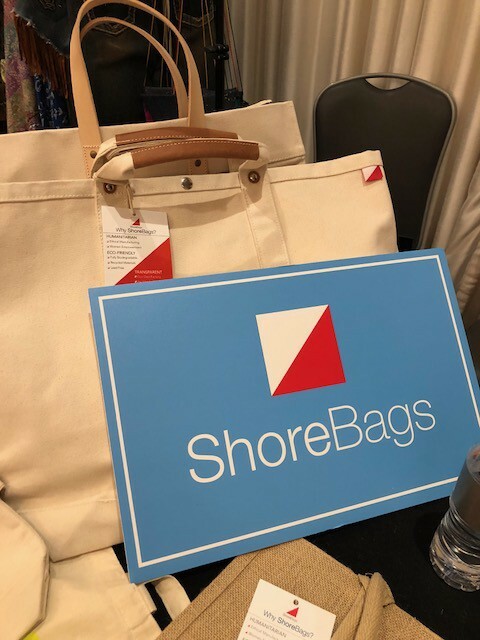 Check-in was a breeze and immediately you were given a bag from Shore bags into which to put any loot you scored around the room. 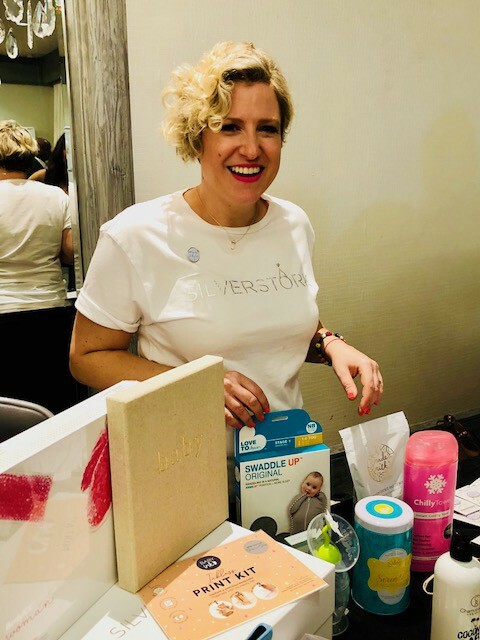 The first stop for me was the Silver Stork table where it’s owner, Caroline Hoad gave me a great Silver Stork box filled with wonderful and practical baby goodies like the Love To Dream Swaddle Up and the My Family Lunchbox and trusty Water Wipes. Next, I visited with Anne Neilson home who had beautiful candles and notepads. In my book, candle make a night tres romantic. 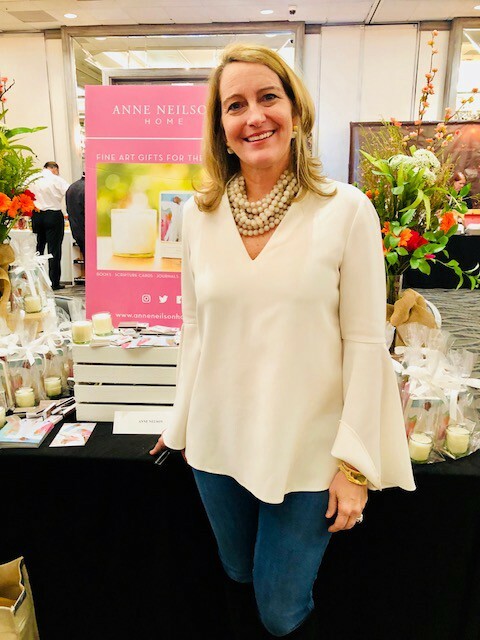 I loved Anne’s candles, her packaging and all the great scents which each had a hint of something great. I soon moved onto the Camouflage cellulite table where there were some very practical undergarments that every lady can use at some point. Going into Golden Globes weekend, I was happy to score a bodycon version just in case I needed a little help on Sunday. 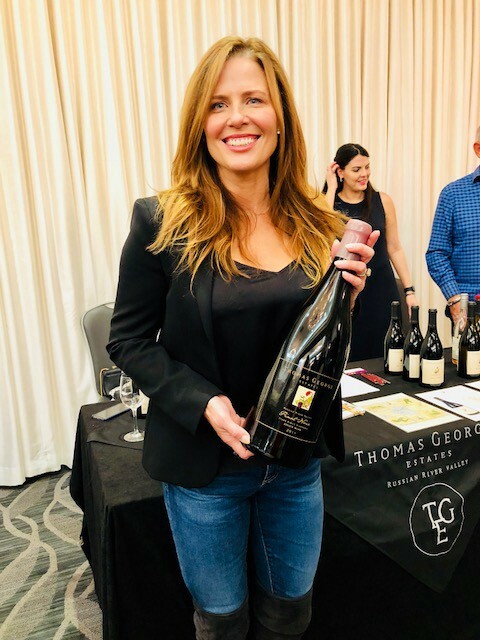 Then I visited with the Thomas George Estate wine table- wine out of Sonoma Valley, one of my favorite places to go for a romantic wine trip. I loved their Chardonnay, it was light with the slightest hint of fruit and butter. I am going to be sure to visit them next time I head to Sonoma. I also scored a Sunsoaker mat which I am excited to try come summer. I can actually take it to the beach and it is supposed to power up all my electronics with the sun alone. I am excited to see if this works because I don’t know about you, but my cell phone also dies when I am soaking up the sun. And lastly, I stopped by the Lelo table where there were some very provocative and sleek-looking vibrators available. Ohh-la-la! 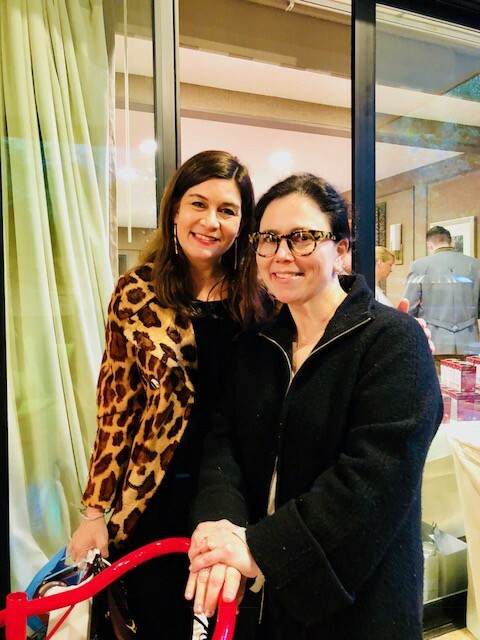 DPA Gifting Suite at the Luxe Sunset Hotel- Nathalie Dubois went all out with her romantic and fun gifting suite for nominees and influencers. It took place at the lovely Luxe Sunset Hotel. The event was indoor-outdoor which added to its elegance. They had a number of romantic brands there to test out and take home. A few of my favorites were: Geek Eyewear and Jacqueline Michie. 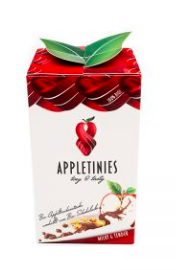 There was also several delectable goodies for tasting like Vegaron, Appletinies, Twinkle Brown Sugar, Viva Pops. And I loved the charity tie-ins at this Suite- Save the Children and Girls Pact; both are very worthwhile charities. Art of Elysium charity event took place on the Saturday night of Golden Globes weekend. As usual, it was an A-list crowd who all turned out to raise money to create art programs for individuals in different communities in LA who are going through tough emotional times. Celebrities like Usher, Rooney Mara, Joaquin Phoenix, Jennifer Garner, Dita Von Teese, Emily Ratajkowski and many other notable names were in attendance. The room was incredibly romantic with the theme being Heaven once again. 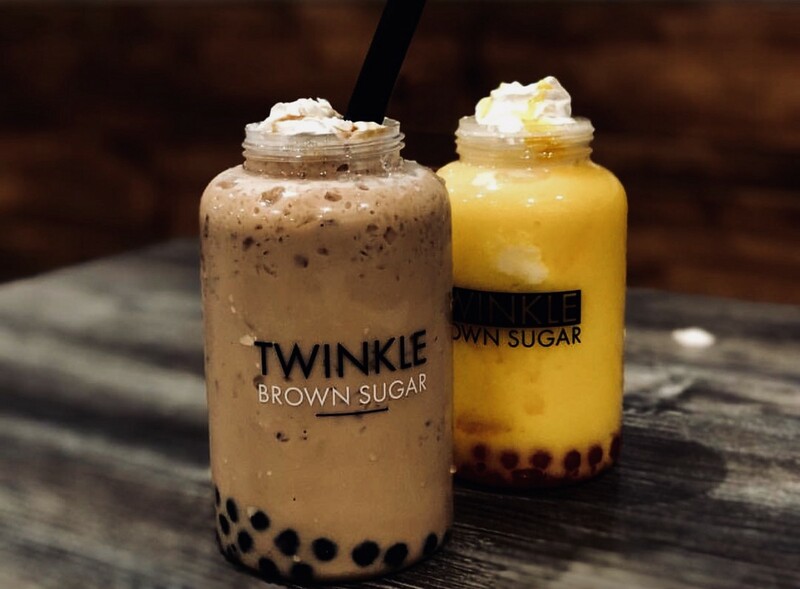 From the moment you walked in, you felt as if you had been transported into a mystical ethereal land. 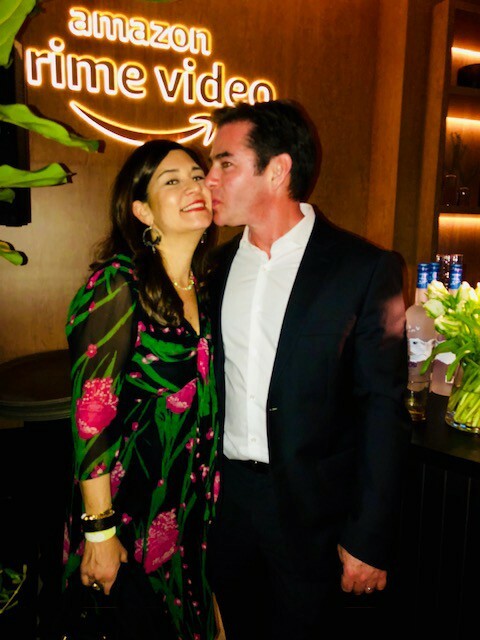 Amazon Prime Golden Globes Party- The Amazon Golden Globes party also took place in the Beverly Hilton, but Amazon Prime took over the Stardust Penthouse. The feel was sleek and sophisticated. There were large Amazon logos and big screen TVs everywhere showcasing some great Amazon shows. 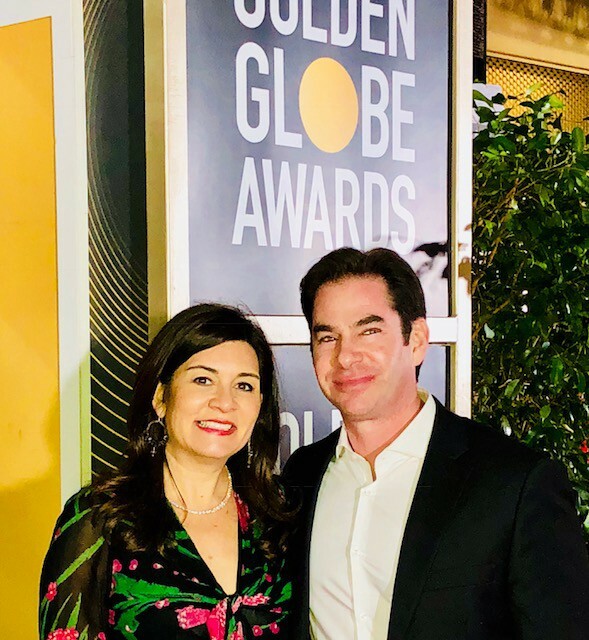 My pal Ashlee Margolis did an excellent job of creating a fun and elegant event with a great flow of A-list people. We were excited to see the full cast of The Marvelous Mrs. Maisel including Rachel Brosnahan herself. 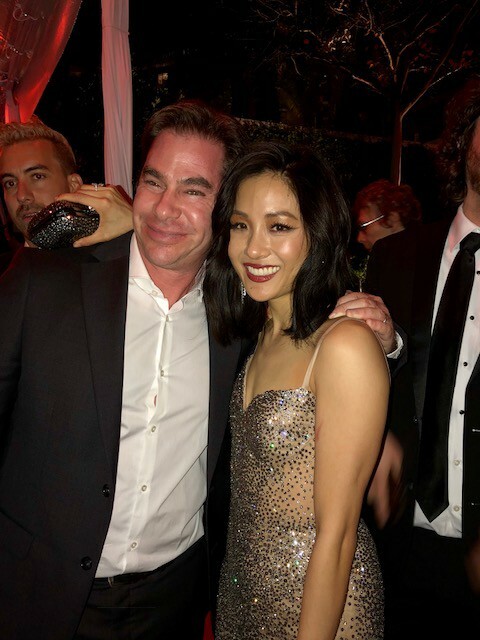 We also got to meet some of the stars of Crazy Rich Asians. And Jeff Bezos was there making the rounds as well.